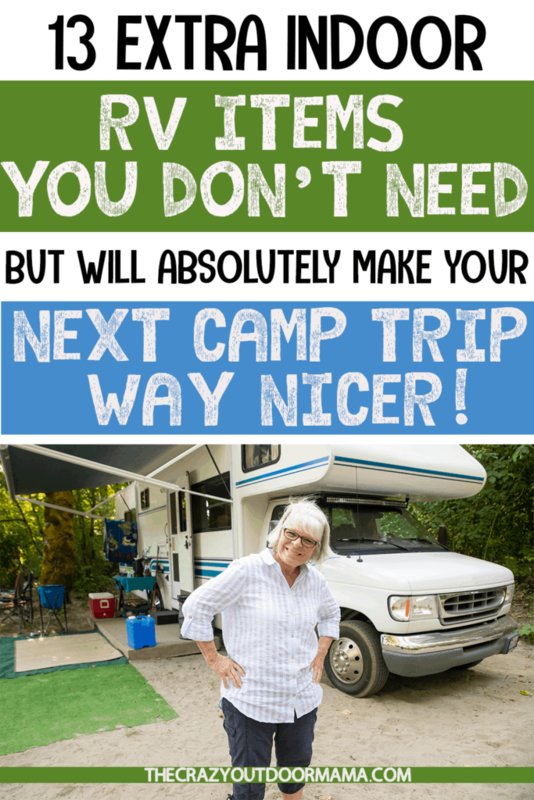 You probably see again and again all the “RV Must Haves” and those are great for getting started – but how about if you want that LUXURY RV life with all the extras? Then this list is for you! 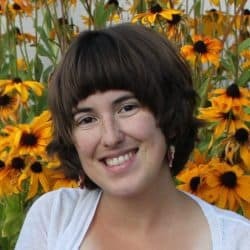 Now just because I say “luxury” doesn’t mean all these items are expensive, but more that you don’t need them to get started, and would likely get by fine without them! 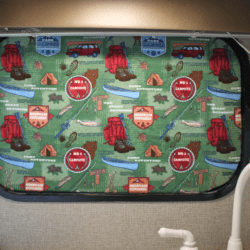 These RV products will really up your indoor RV game, and make your travel trailer MORE comfortable, MORE functional, and heck… MORE enjoyable! 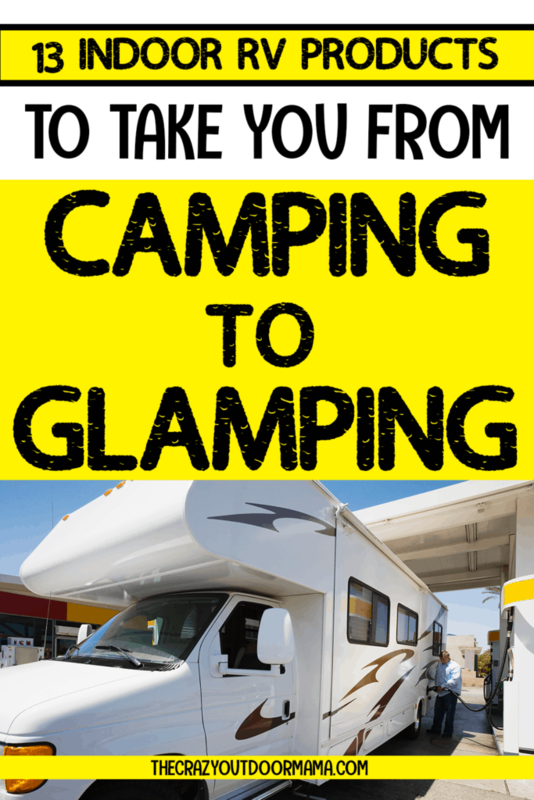 Update – this article had such an amazing response that I also wrote one on the Top 11 OUTDOOR RV items you don’t need… but that can make camp life soooo much easier! Mini Washer/Spinner for Travel Trailer Camping Laundry! A NICE RV Shower Head! A sweet RV recliner to get rid of that uncomfortable jack knife sofa! Camping can be pretty darn comfy – anything missing from this list for even more comfort in the RV? This is probably one of the first upgrades for most RVs and travel trailers just due the fact that the factory beds in campers are usually really terrible! This is especially a good buy for those of us with hip or back problems – many people have said they slept better on this mattress than theirs at home! Everyone knows how hot (and cold) RVs can get, as well as how darn bright they can be! Blinds only go so far which make additional window covers a great option. If you like afternoon naps, or perhaps have kids who’s bedtime is before he sunsets (like mine!) then these Camco window covers are perfect for you! If you’re like me, and have a super small travel trailer fridge, then you might also be using a large cooler for all the overflow of refrigerated items. With summer time, there’s always many cool beverages in there as well as TONS of kid food (how in the world do the kids eat so much?) Anyways, having a counter top ice maker will you tons of money over time buying ice at the store as well as saving you the trip! Do you ever have your milk frozen in one part of the fridge, and your meat feeling a little warmer than it should only one shelf down? Then you want this guy – not only will it help keep your RV fridge cooler, it will also help distribute that cool air much better! As an added bonus, this RV fridge fan has an activated charcoal (that you can replace!) to help filter out stinky food smells! When you’re constantly on the go, coffee is always a must (atleast for me) but if you’re on the go after boondocking, or perhaps just traveling somewhere where there aren’t many coffee shops, it can be nice to know you can just make your own delicious morning cuppa! This coffee maker does it all – tea, coffee, frothy drinks, and it even has a thermal carafe should you need it! With multiple options and sizes, the Ninja Coffee maker is definitely a big way to up your camping experience! I will link both an electric and non electric so you can check out which suits you better! Another note – none of these dry, just spin, so you might want to check out something like this to help hang dry lots of stuff at once! Important – Spins, not Dries! Here is the second washing option I talked about to avoid the laundro mat! While sweeping and such will do the job most of the time, everything just feels cleaner when you actually get to use a vaccum! This is especially true if it’s as lightweight and easy to use like this one! Now I know alot of you might have heard about Dyson sticks, however those are HUNDREDS of dollars, and alot of them had bad reviews… this one is much less expensive, and is comparable in quality and power to the Dyson! It probably doesn’t surprise you that RVers like food fast and easy (with minimal space needed!) so the instant pot definitely fills that need! It’s all the rage for homes, why not use it in your home on wheels too? These guys can cook food that would take HOURS in 10-20 minutes! Here’s is the most popular model for RVs! Doesn’t release any steam, heat or cooking smells! Perfect for up to 4 people (though there are of course size upgrades! If you’ve ever showered inside of a camper, then you’re probably familiar with that unsatisfying weak flow that you get! And to make matters worse, when you try to replace it, you find that most RVs have weird fittings and you actually need a specific thread type and such to get it all to work! Well, finally Oxygenics came out with an amazing shower head and everything you need to make it work! Non-stick internal parts prevent clogging and corrosion for consistent performance. Frying basket can detatch for easy cleaning! So this is probably the only thing that’s really “luxury” and not just a fun extra item to enhance your RV experience! While a recliner set up won’t be ideal for every family (I have 3 kids, I don’t think I’d ever have time to use it! =P) for alot of people, this is the ultimate upgrade! Modular frame allows you to use optional centerpiece as well as get it into your travel trailer easier! Let me know if I should add something to this list! While I love the idea of tent camping, I do also love being able to enjoy the views from my cozy camper… and I intend to make it even more comfy as time goes on! 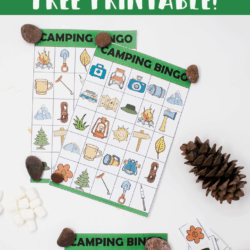 If you liked these cool indoor camping items, then you gotta check out it’s counterpart… awesome OUTDOOR RV items that will make your camp trip (especially set up!) WAY easier!